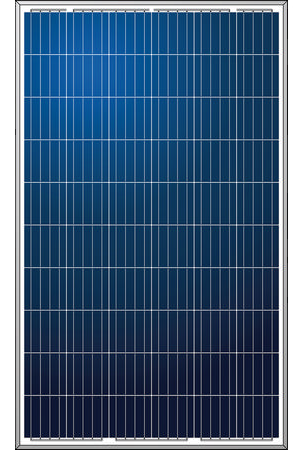 Photovoltaic modules are used where there is no centralized electrical supply or there is a power outage for a long time. Such systems can satisfy any need for electricity, whether it is powered by a water pump, lighting a home or an autonomous power supply to the whole community. The number of photomodules in a solar power plant is not limited, the more photomodules, the more powerful the system. Solar power plants are easy to operate, safe, noiseless, absolutely ecological, and also harmoniously fit into the appearance of buildings. Solar photomodules (solar panels) are primary power system converters that convert light solar energy into electrical energy. Currently, the most promising is the direct conversion of solar energy into electrical energy using solar cells. Solar energy – today this is one of the most promising ways of development of the renewable (non-traditional) energy sources, which is based on the direct transformation of solar energy into other types of energy, for example, such as electricity or heat. The solar energy industry is environmentally friendly, and its active development takes place both due to economic factors (significant hanging of prices for traditional energy carriers, with a tendency to reduce the cost of equipment for working with renewable energy sources), and in many countries state support programs (for example, green “tariff in Ukraine). Currently, solar photovoltaic systems are widely used, which are solar power plants, in which a direct method is used to convert the energy of solar radiation into electrical energy. These installations include a set of solar panel modules that are placed on support structures, a battery pack, a charge-discharge regulator of the battery and an inverter, in the event that it is necessary to obtain an AC voltage.